Home / Greenery / Vegetables / Ladies Finger: Okra Benefits for Health. 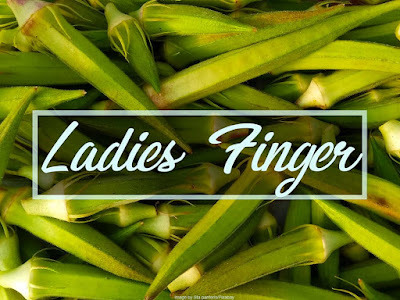 Ladies Finger: Okra Benefits for Health. Okra or Ladies Finger is a common ingredient in many cuisines. Okra is a plant that can be consumed until the seeds in it. These vegetables are generally very soft and slimy. It is a simple vegetable to be served. It can be boiled, fried, sautéed, steamed, deep fried, or pan fried. It also serves as a thickening agent for various soup recipes such as curry and vegetable soup. Okra plant has the scientific name Abelmoschus Esculentus which generally only grows in tropical countries Commonly, it's been identified as the tall green, dwarf green, and the ladies finger. The fiber content, vitamins, and minerals contained in okra plants carry various kinds of health benefits. One of the popular benefits of okra is that it can reduce blood sugar levels in diabetics. In 100 grams of raw okra, the calories contained in it are 30 calories, 3 grams of fiber, 2 grams of protein, 7.6 grams of carbohydrates, 0.1 gram of fat, 21 mg of vitamin C, 88 mcg folate, and 57 grams of magnesium. Lowers blood sugar levels. Although further research is needed, okra is believed to be beneficial in helping diabetics because it can stabilize blood sugar levels. To get the benefits of okra in reducing blood sugar levels, you can consume baked okra seeds or by drinking okra water. Okra water can be made by soaking the okra overnight in water and drinking the soaking water in the morning. The benefits of okra in stabilizing blood sugar levels may be obtained because of its high fiber content, so it can slow the release of sugar in the blood and contains a low glycemic index. Relieves asthma. Eating high sources of vitamin C such as okra (having 21 mg of vitamin C) has been shown to help reduce asthma symptoms. A study published in the journal Thorax shows that eating citrus or kiwi fruit can reduce wheezing symptoms in people with asthma. Even this benefit is also proven even though only consume food sources of vitamin C in one or two times a week. Anticancer. Cancer is one of the most dangerous diseases and most feared by almost everyone. 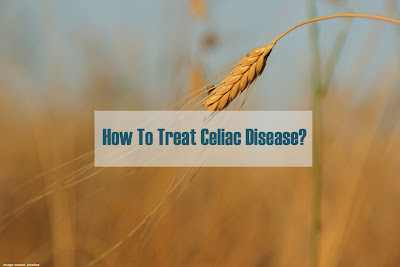 The disease can be prevented by consuming certain drugs or foods. Apparently, vegetable okra is also anticancer so that it can prevent cancer cells from growing in the body. It is because okra plants are a source of antioxidants that are very good and useful for boosting immunity, and can protect the body from free radicals and cancer cell mutations. Prevent constipation. Okra is a good food for the diet because it is rich in natural fiber so it is good for digestive health. The soluble fiber content of okra is similar to the fiber found in cereals. In addition, mucus okra can help prevent constipation or constipation. Okra vegetable is also believed to be able to launch a bowel movement because it contains fiber and mucus which can be used as laxatives. Lowers cholesterol levels. High cholesterol in the body is identical to coronary heart disease, stroke, and heart failure. The benefits of okra that can reduce cholesterol are associated with high levels of fiber that is owned by okra. According to Harvard Health Publications, fiber can bind fat in the body so that the fat is digested along with other foods. Improve the immune system. Other benefits of okra are improving one's immune system. This is related to the amount of vitamin C and the high antioxidant okra. Vitamin C itself can stimulate the production of white blood cells which are important components of the immune system. Meanwhile, antioxidants play a role in destroying all free radicals that can make the immune system weak. Prevent kidney disorders. Eating okra regularly is proven to prevent kidney function disorders. This was shown in a study conducted in 2005 published in Jilin Medical Journal. In this journal, it was found that people who consume more okra routinely have fewer symptoms of kidney function than those who don't eat okra. In a study of 417 patients with kidney disease, okra reduced levels of high protein in the urine, which is a marker of kidney damage. In 35 patients with kidney disease associated with diabetes, vegetable okra acts as an antioxidant, reduces high protein levels in the urine, and improves kidney function. Health benefits for pregnant women. If you are a pregnant woman, then try to eat these types of vegetables, because the benefits of okra are good for your health and the fetus. Okra has vitamin A, vitamin B1, vitamin B2, vitamin B6, vitamin C, zinc, and calcium which are needed for fetal growth and development. Okra also contains folic acid which is useful to support fetal brain development, prevent disability during pregnancy.